26: (Ed Therapy Series) What kind of learner is your child? Understanding your learners learning profile is essential when making decisions about what school to attend or helping cultivate a relationship of understanding with your child’s teacher. The natural styles and affinities of different learners directly impact the type of instruction, strategies, tips, and tricks we give to a student. 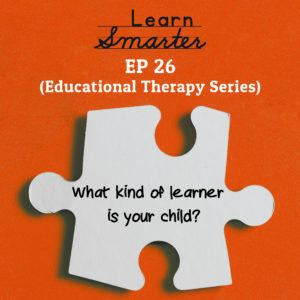 In this episode, Rachel & Steph only talk about 3 different learning styles: auditory, kinesthetic and visual learners. They describe what they mean, how to know which type of learner is YOUR learner and how to connect their learning style with their current academic experience.